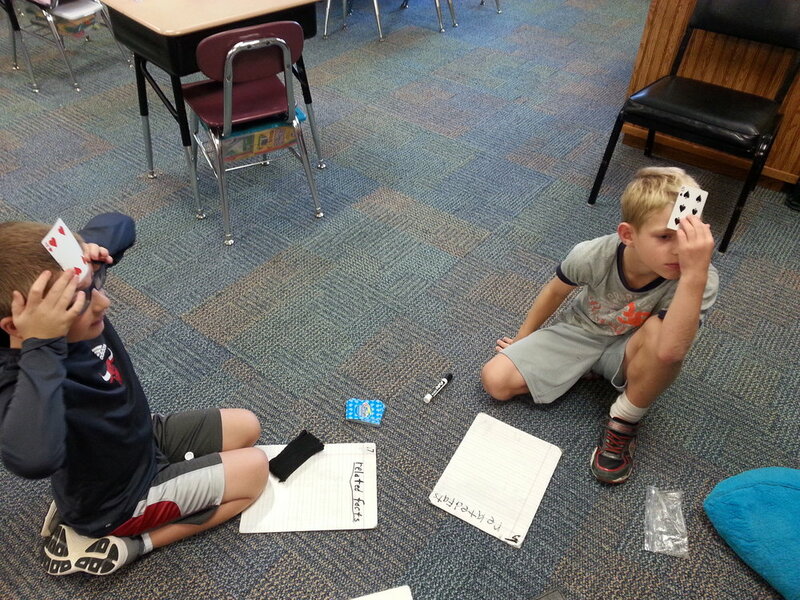 We played a game with related addition and subtraction facts to help us solve for the mystery number that was on our head! You can play at home too! All you need is a deck of playing cards with face cards removed, and 3 people!